Watch your end-of-the-year Attitude!! | Precious Thoughts! Hello!Hello!! How was your weekend? and how was your Monday? Yes! I know I have some explanations to give for my silence of yesterday. You know I won’t deliberately choose not to put up a post, I had a presentation that took the whole of yesterday, hence, no post. I’m indeed sorry as well. Sometime ago, in one of my readings, I stumbled on a story of a young boy in Europe called James Owen. Many years ago, Owen told his coach how much he desired to become a great athlete. The coach gave him the four keys to stardom – Determination, Dedication, Attitude and Discipline. Attitude can simply be defined as the way you think and feel about something or somebody even when there are challenges. Without a positive attitude to your discovered purpose, your expectations become a waste because there are compulsory giants on your way to your goal [Promised Land]. What you don’t believe in, does not produce for you. “For as he thinketh in his heart, so is he…..” (Proverbs 23:7). Browsing further to verse 18 of Proverbs 23 [there’s surely a future hope for you, and your hope will not be cut off], so no matter how 2013 has been, you need to maintain a positive attitude (thinking) towards any desire (expectation) you are believing God for! Nehemiah was positive and bold in the face of danger (Nehemiah 6:11). Be the same! The battles of life will never cease. As long as your attitude is always positive, no battle will sink your ship of progress. Stay focused on positive words- “I can win”, I am an overcomer”, my end is peace”, “I can do all things”, Problems are temporary”, “I am destined to win”, “Lack is not my portion”, “I shall get there it is possible”, etc. Be positive towards life. 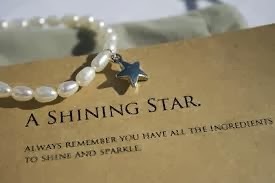 You can be a star, brighter than your imagination can comprehend. Oh! pity the man who earns a million dollars, but is not a millionaire. What is pitiful is that his income grows but he does not. Your attitude (mindset) determines your altitude (progress). Arise within! 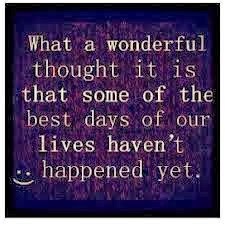 Your best days are still ahead! So what is your end-of-the-year attitude? P.S If you’ve not seen the previous posts on this blog, visit: http://pricelessthinking.blogspot.co.uk/ and beautify the posts with your comments.